1. The total DNA present in our body cells can stretch from the Earth to the Sun hundreds of times. Don’t be amazed it is true. A Human body roughly has 100,000,000,000,000 (100 Trillion cells). If you unraveled all the DNA in these cells and laid out the DNA end to end, the strand would stretch from the Earth to the Sun hundred of times. 2. You could fit 25,000 strands of DNA side by side in the width of a single adult hair. 3. The length of DNA helix in a typical mammalian cell is approximately 2.2 meters. 4. The human genome is said to have approximately 3×10-9 nucleotide bases. There are only four kinds of nucleotide bases – Adenine (A), Guanine (G), Thymine (T) and Cytosine (C). These four nucleotides are repeated several times along the length of DNA. 5. A Human DNA sequence is represented in the form a chain of approximately 3 Billion (3,000,000,000) chemical letters (generally called as bases). It is an enormous amount of data. If the DNA sequence were to be stored in the typed form in books, and if each page of the book contained 1000 letters and each book contained 1000 pages, then 3300 such books would be required to store the information of DNA sequence from a single human cell. However, if you tried typing the whole genetic code out (typing at 200 letter per minute) it would take 29 years (without taking any breaks). 6. In every cell of our body, a 2.2 meter long DNA is packaged inside a nucleus having the average diameter around 6 micrometers i.e. 1 million times smaller than the length of DNA. Such compact packaging is achieved with the help of nucleosomes. Approximately 180 base pairs of DNA are wound twice around the nucleosome. The compacting effect of nucleosome reduces the length of the DNA by a factor of six. The packaging of DNA in a chromosome. 7. In a double-stranded DNA, the ratio between Adenine and Thymine and Guanine and Cytosine are constant and equals one. The ratio may vary from species to other species, but it is constant for a given species. This ratio can be used to identify the source of DNA. 8. You are 99.9 % similar to the person sitting next to you. Yes, this is very much true. Almost 99.9% of base sequences among humans are the same. Not only this, but we also share a lot of DNA with other animals, plants, and microorganisms. For example, we are 98% similar to a Chimpanzee, 92% similar to a mouse, 51% similar to a Fruit fly and 18% similar to Bacteria. 9. Less than 2 % of the DNA sequences actually codes for proteins and the rest is Junk DNA. In the human genome, almost 98% of the DNA is noncoding (Junk DNA) i.e. it does not code for anything. The Junk DNA is mostly found in the form of repetitive sequences that are repeated many times, sometimes hundred to thousand times. 10. Human Genome Project cost around 2.7 billion dollars to U.S. taxpayers. A very ambitious project of sequencing Human genome was launched by the U.S. government in the year 1990. It was a mega project and estimates suggested that the project would cost a total of $3 billion, but it ended up costing less than expected, about $2.7 billion in FY 1991. 11. Till 1943, Scientists were not able to understand that role of DNA as the genetic material. 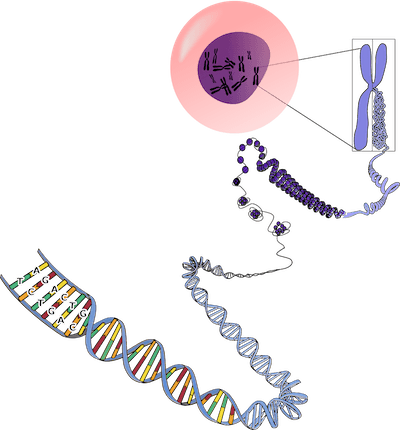 Even though the discovery of Nuclein (DNA) by Meischer took place in 1869, but the fact that the DNA acts as a genetic material took very long to be discovered and proven. Do you know, prior to 1943, the genetic material was thought to be a protein! ThoughtCo. (2018). 10 Interesting DNA Facts. Available at: https://www.thoughtco.com/interesting-dna-facts-608188. DNA Diagnostics Center. (2018). 10 Fun Facts about DNA – DDC. 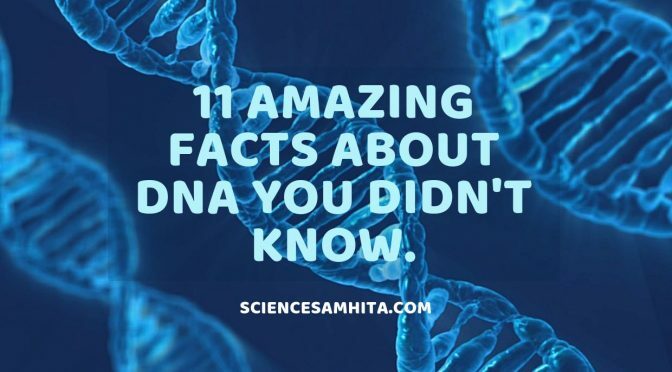 Available at: https://dnacenter.com/blog/10-fun-facts-dna/. Previous Post11 Algae that are Used as Human Food.Next PostWhat are various Hormones produced by Pituitary Gland?